"Become the ultimate weapon. Fight to the end in the war that started it all. Wield an arsenal of lethal, high-tech weaponry and change form from Robot to Vehicle at any time as you battle through the living, metallic world of Cybertron. Choose your side, choose your class and customize your Transformers character. The balance of power between Autobots and Decepticons is in your hands. 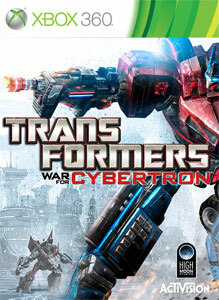 Download the Transformers™: War for Cybertron™ Multiplayer Demo now and tip the balance of power."